Some system objects have standard attributes that must be filled in. The standard object attributes cannot be edited, however, you may need to make some of the standard fields optional. To make fields required/optional you can use the form builder. Let's take a look at this function using the Individual object as an example. 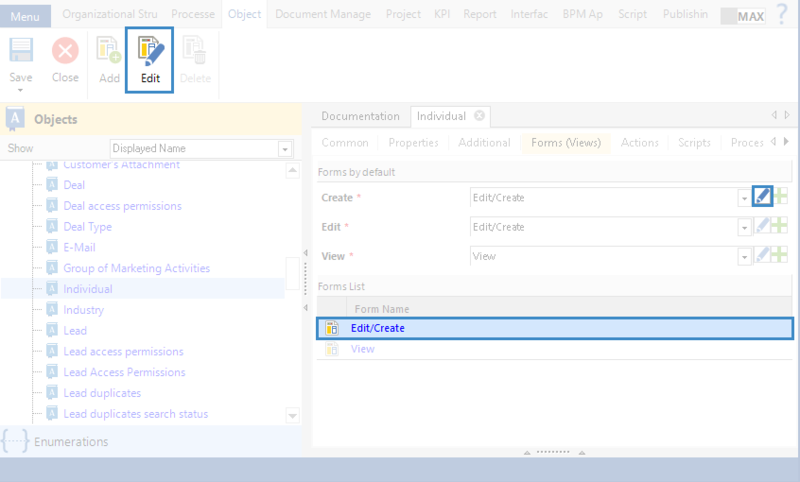 In the Designer, on the Objects tab, find and open the Individual object under the CRM category. Go to the Forms (views) tab and select one of the forms, e.g. Edit/Create. 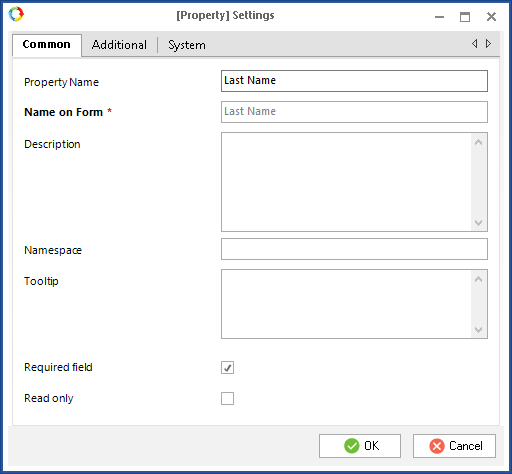 To open the form builder, double-click on the form name in the list, click on the button to the right of the form name or click Edit in the toolbar. 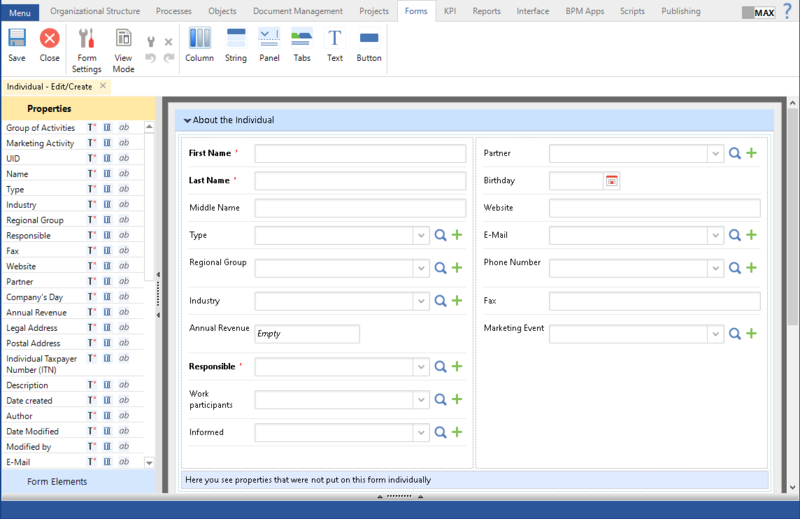 In the form builder, you will see the attributes of the Individual object. The required fields are marked with an asterisk "*". For example, if you need to make the Last Name field optional, double-click on the field on the form. The settings window will open. On the Common tab, uncheck the Required box and click OK. Save the changes in the form builder by clicking Save in the toolbar. Save and publish the object (in this example, Individual). To apply the changes, restart the server. Open the Publishing tab and click Restart Server. You cannot make some of the fields of system objects optional, in this case, the Name and Responsible fields.